Gmail is getting an update “in the coming weeks” that will bring it in line with other Google app updates from the previous year. That’s the long way of saying that it’s going to get a hell of a lot whiter. The big “Material” update for Gmail is here. 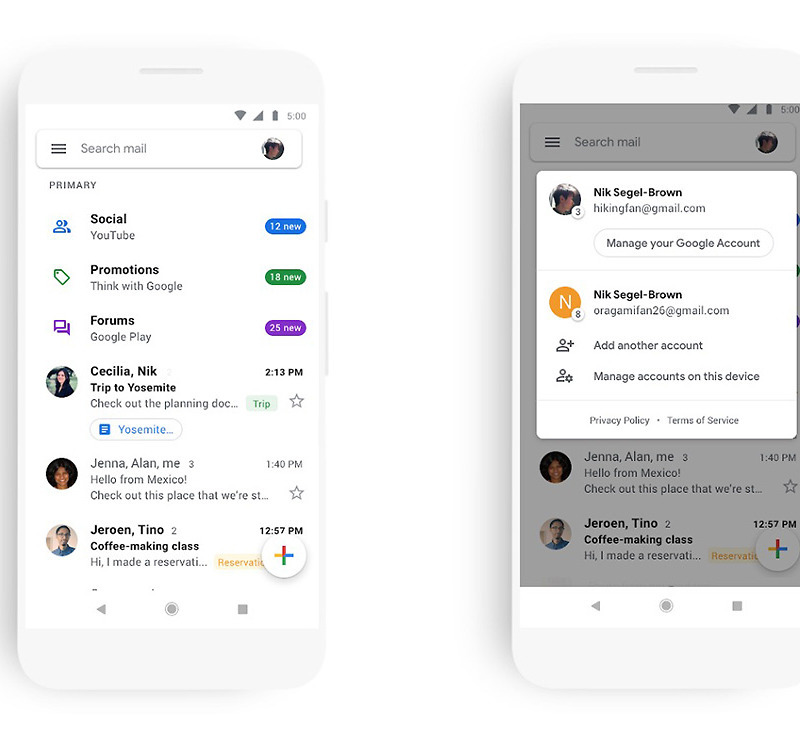 In an announcement this morning, Google showed off a bit of the new design, also noting that in the new look, you’ll be able to quickly view attachments without opening or scrolling through a conversation. You’ll be able to easily switch between accounts now too, similarly to how you do it in the newest version of Keep. That’s cool. Of course, Google has already admitted that white apps are terrible for battery life, so don’t get too excited. Well, maybe this will mean a dark mode for Gmail? Eh? Maybe? That’s all we know so far, as the update has not hit our devices yet. Again, they said it’ll roll out in the “coming weeks.” Staged rollout hell is as hellish as ever, folks.